With July 4th just a few days away, there are probably plenty out there with plans for cookouts and gatherings with friends and family. Nothing pairs better with the U.S.’s birthday than a truckload of barbecue on a warm summer’s day alongside fireworks in the evening. One recipe that is sure to put everyone in the celebrating mood involves baby back ribs and a perfect Manuka honey marinade. Taking your typical rack of pork ribs and sweetening the deal immensely, this dish will leave anyone who tries it full and satisfied at the end of the day, and it doesn’t hurt that with these ribs comes a unique flavor only Manuka, garlic, and tamari soaked into pork can offer. If you think you are up for the challenge, let’s get started on those Fourth of July baby back ribs! Combine the Manuka honey, the garlic cloves, and the soy sauce in a smaller saucepan. Bring everything up to boil before turning the pan down to simmer. Let it sit on simmer for about five minutes and then remove the saucepan from the heat. In the meantime, preheat the oven to 325 degrees Fahrenheit. Place the rib rack(s) into a deep, cavernous baking pan, adding a cup of water or at least enough that it covers the pan’s bottom. Cover the ribs using aluminum foil before steaming them for about 45 minutes. Then, take the water out of the pan, pouring on the marinade afterward. Bake the ribs, uncovered, and baste often for an extra 30 minutes or until the ribs are cooked thoroughly. If possible, finish cooking the ribs over charcoal, or you can broil in order to provide a crispy finish on the ribs. Once you have finished, squeeze the Meyer lemon over the ribs for extra flavor right before you serve. There should be at least enough for three servings. 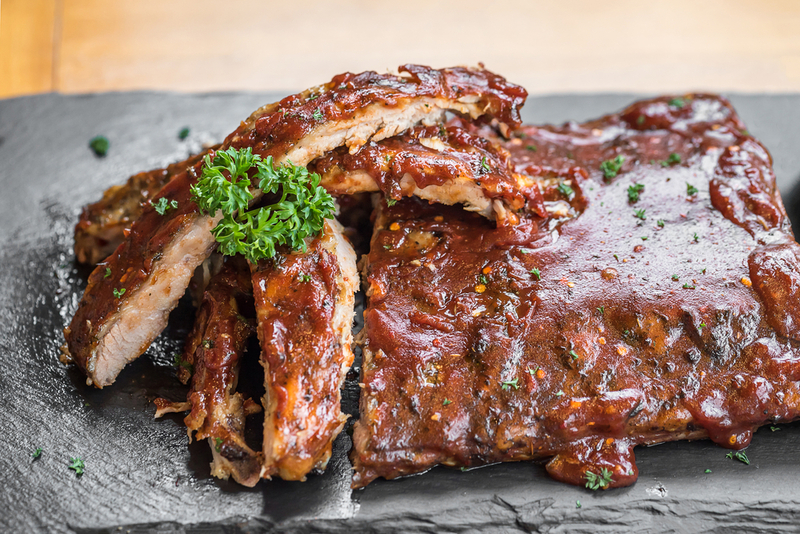 Serve warm or let the ribs cool a bit—either way, enjoy your Manuka honey baby back ribs!